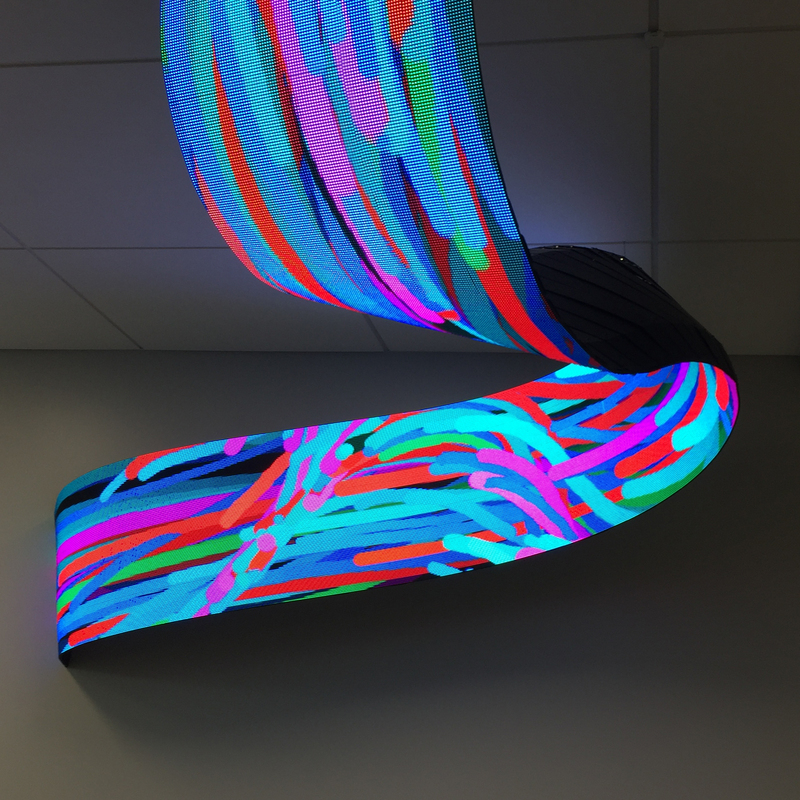 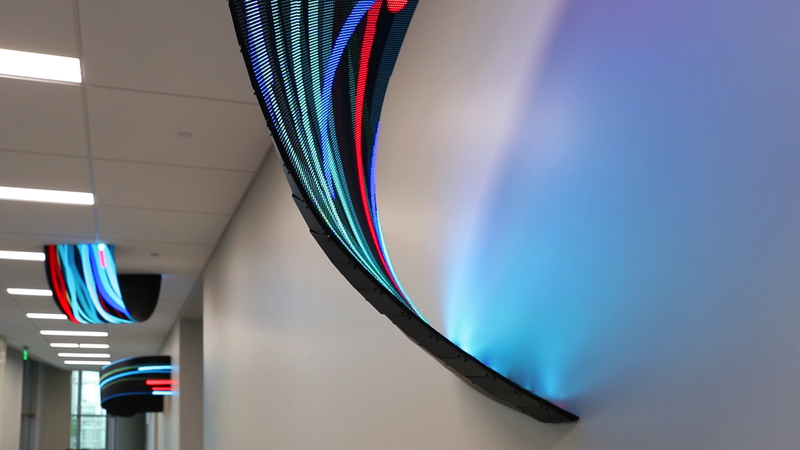 Pulse is composed of five curved screens that repeatedly emerge and disappear along a wall of the Zachary Engineering Educational Complex at A&M University in Texas. 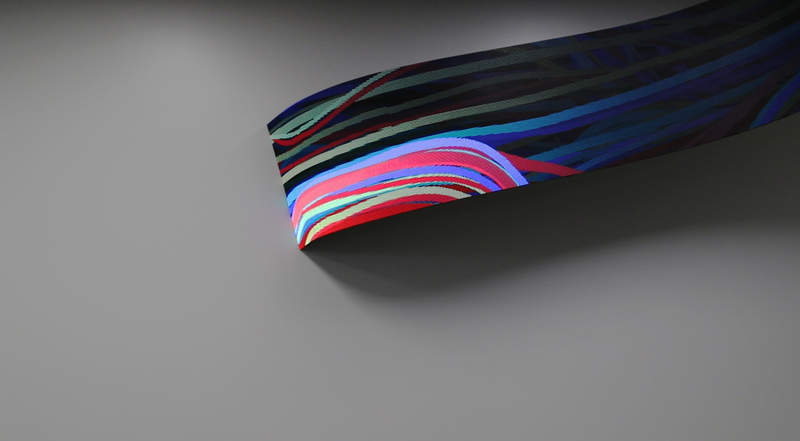 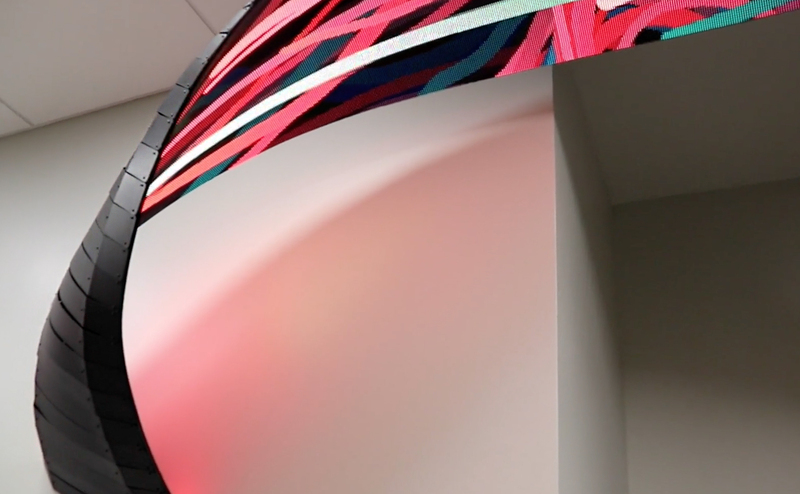 The video content is an abstract array of multi-colored particles that run along the screens. 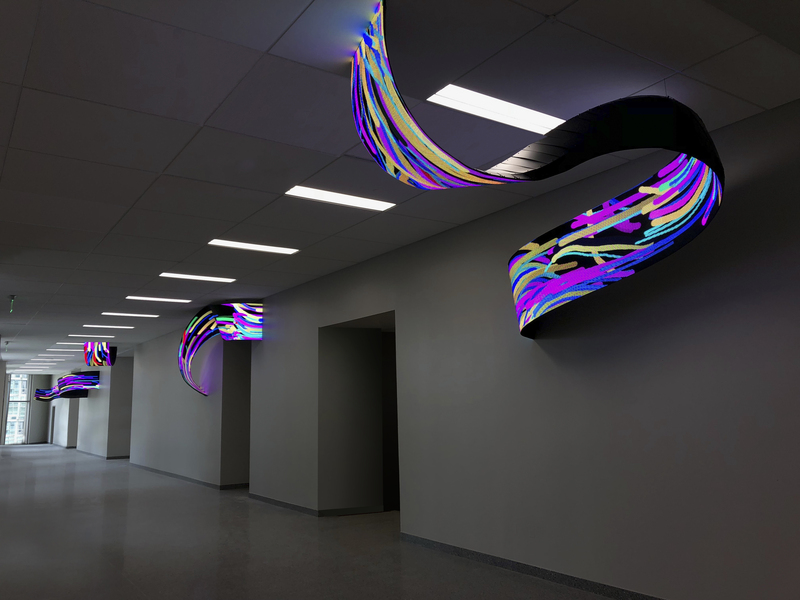 Rather than being a looping video, an algorithm creates a generative animation that is reacting in real time to data related to the building’s energy consumption, including AC flow, internet usage, water and electric power consumption. 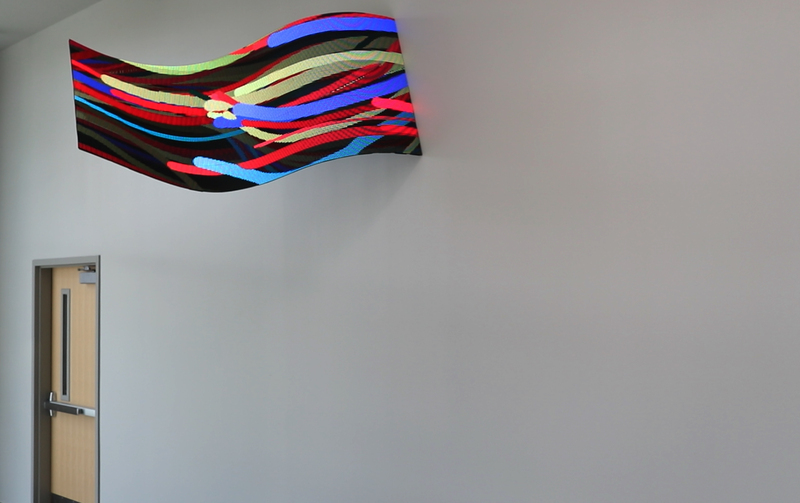 Each energy source has been assigned a different color particle, which the visitor can interpret via signage. 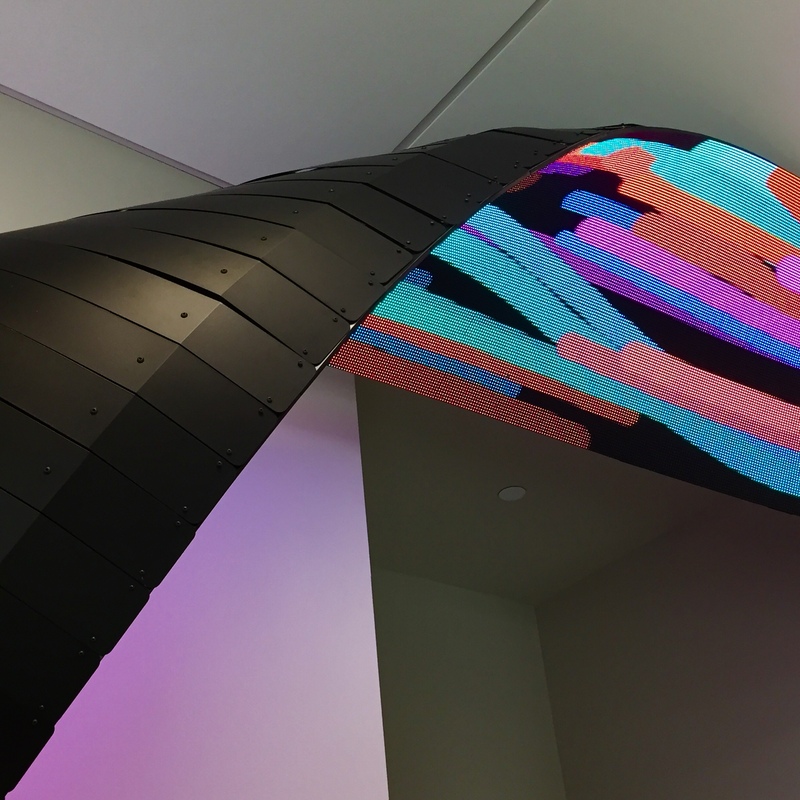 The artwork is a data-fed sculpture that is sensing the building’s own conditions as if it were a living, breathing entity.